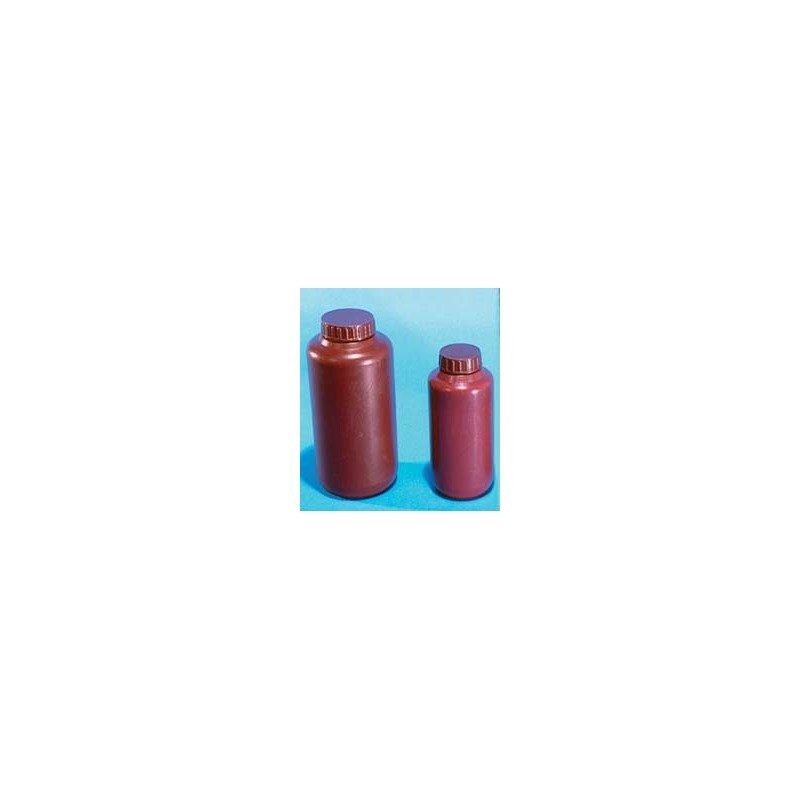 Made especially for storing photosensitive chemicals and formulations, CON-TROL-CURE® WIDE-MOUTH POLYETHYLENE BOTTLES block UV light to prevent premature polymerization of the contents. 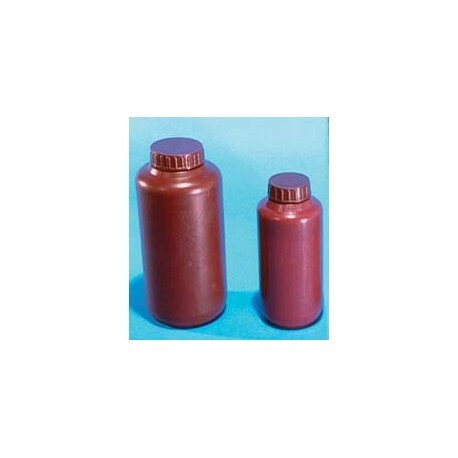 Made of high density amber polyethylene with polyallomer screw caps. They feature a wide mouth for easy filling and dispensing of materials.